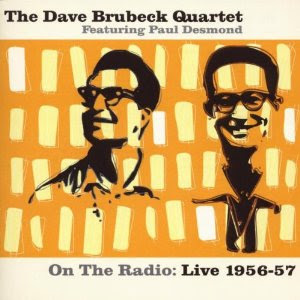 Meanwhile, the Acrobat Music Group collection of airchecks from CBS Radio concerts by the Dave Brubeck/Paul Desmond quartets of 1956 and 1957 demonstrate very well how Not to introduce a band, as the CBS staff announcer is a klutz, at best...the 1956 quartet featuring the fine Joe Dodge on drums performing in two sets from the Basin Street East in New York City (the latter's recording is notably crisper than the earlier's), and, from Chicago's Blue Note nightclub (and with a notable but not intolerable drop in audio quality), the 1957 version featuring the transcendant Joe Morello on percussion, with both groups rounded out by Norman Bates (possibly the inspiration for Robert Bloch to name his most famous character, perhaps even from hearing one of these airchecks...and, no doubt, the source of endless ribbing for Bates very shortly thereafter..."No cutting contests with you, Norman..."), as Gene Wright, the bassist for the quartet's most popular and innovative years, would join in 1958 (though, as the booklet for this disc notes, Morello and Wright were on hand for a 1956 radio broadcast with Leonard Bernstein, so clearly the most memorable quartet was foreshadowed). The big treat here is a fine improvisation, "A Minor Thing," which as far as the packagers know was never again recorded by any version of the quartet. But despite some noisy audience members on a couple of tracks around the edges, the playing is uniformly impressive here, and it's a very pleasant set of recordings to have, whether a confirmed fan such as myself, or someone wanting a sense of what this group was about, as it moved from success to (occasionally controversial) megastardom in jazz. Dr. Billy Taylor, a good (sometimes great) player and composer, and inarguably one of the great popularizers of jazz music (an ambassador to the larger world in much of his work as an educator and dj and television bandleader/music director) died yesterday, as Jeff Meyerson, via Rick Robinson and Bill Crider, informed many of us this evening. I saw him in concert only once, but would have difficulty toting up all the hours I've heard him on radio or enjoyed the music he helped present on television. 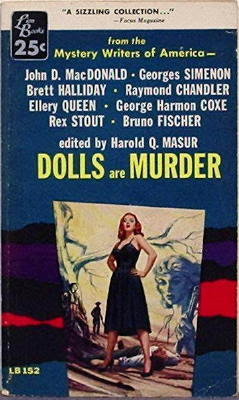 Dolls are Murder, "from the Mystery Writers of America," edited by Harold Q. Masur. Lion Books, 1957, "by arrangement with Revere Publishing Corp." 126 pp. 25c mm pb. 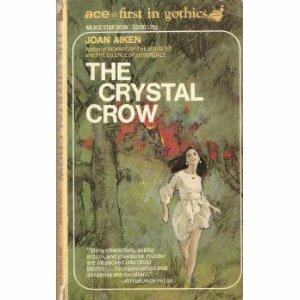 Cover by Mort Kuntsler. 115· Affaire Ziliouk [Monsieur Froget] · Georges Simenon; trans. 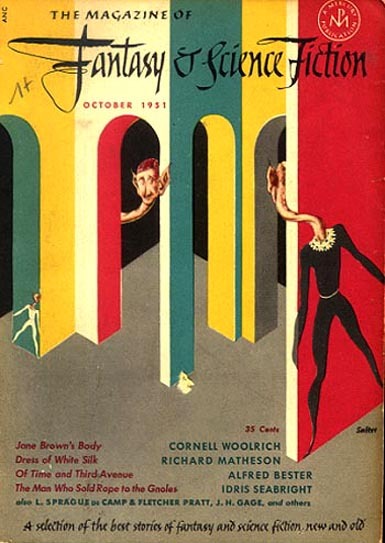 by Anthony Boucher · ss Ellery Queen's Mystery Magazine, May 1944; translated from Les 13 Coupables (1932). 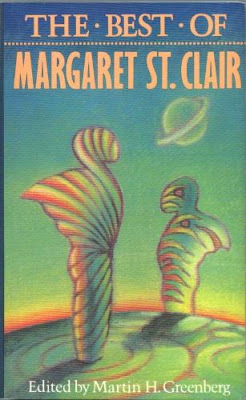 So here's a slim, inexpensive (even for the time) paperback with at best a misleading title (but, thoughtfully, the MWA was kind enough to leave all the women writers out of this antho), inasmuch as some of these stories, such as "Brett Halliday"'s deft excursion into "B. Traven" territory, have no women to speak of in them (oh, wait...a minor character at the beginning is killed by the father of a young woman the mc insulted...dat's a deadly dame, doncha know). 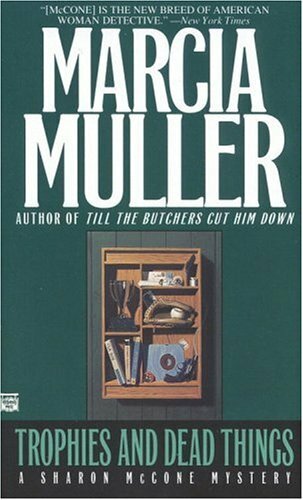 Likewise, the woman character in the JDMc story is notable mostly for being the only female character, and far less deadly than several of the males; she in fact commits no murder. But it's a solid little book, filled with stories that have become at least borderline chestnuts in the succeeding years, such as the Bruno Fischer story I first read in the Hitchcock Presents: volume I FFB'd the other week, a series, I'll note (somewhat redundantly) that Masur would eventually edit after founding editor Robert Arthur died. 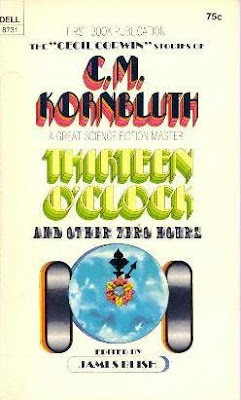 And the book rounds out with its shortest story, published under three different titles (I'm guessing that the title here, "Cop's Gift," might've been "Rex Stout"'s preferred one), a neat if not exactly challenging little mystery set on Christmas Eve, with the typical Stout wit and eye for small details (and not a Wolfe/Goodwin story). Much as this book itself was part of a seasonal gift from Kate Laity. 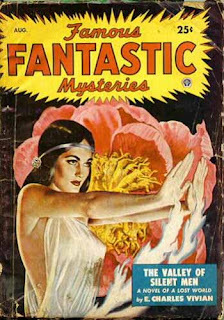 Patti Abbott is taking this week and next week off, so I might be gathering up the links I'm aware of in the next post (and next week). The Salander films are all crowd-pleasers, with the Asperger's-spectrum heroine in this installment playing mostly by The Man's rules as noble public servants help her by rooting out the evil that government bureaus and consultants and patsies do. You can tell she's a Rebel because she wears a mohawk to trial, which would seem to be unhelpful to her case, but the suggestion here as with the other films is that we should be against the kind of condescension that retitles the novels and films in this language and this language only as The Girl..., except in the case of the second novel, wherein the Girl Who was actually a girl when playing with fire. I liked it a lot, as I did the second film also more than the first, just because the first seemed a bit more outlandish...the conspiracy that causally abuses Salander throughout the works is at least somewhat better delineated in the latter two films, both made for TV apparently rather than for cinematic distribution, as was the first. Love and Other Drugs is also related to television, one could say, as the kind of subject matter that writer-director Ed Zwick loves to deal with in television series, ranging from thirtysomething through My So-Called Life, Relativity and, my favorite, Once and Again to the slightly disappointing web-series, later briefly televised, quarterlife. A pilot for CBS, A Marriage, was shot and declined without being shown, so far. So, instead of the kind of historical drama that Zwick has been doing for cinematic release, such as Glory and Blood Diamond, Zwick somewhat splits the difference with a romantic drama with comic bits (some perhaps broader than they need to be) and some serious subtexts involving caring for people with degenerative diseases, and the responsibilities of the "ethical" drug industry and how they are avoided (the film is loosely based on the memoirs of a pharma rep in the last years of their utter cowboy phase, ten to fifteen years ago...considerably if not sufficiently fenced in these days). Good performances, including from Judy Greer and the other smaller-role supporting players, including one of the last or perhaps the last performance by Jill Clayburgh. There are a few threads left dangling (not least in that a drug rep might well be able to provide discounted prescriptions for low-income patients), and I'm not sure whether I think it was deft to leave it vague as whether Anne Hathaway's character was a trust-fund baby or not...somewhat improbable that she can live the life she does without a financial cushion. Black Swan is the least successful of the three, while probably the most ambitious. However, it doesn't help that there isn't a non-stereotyped character in the film, despite those characters being fleshed out by good performances by Natalie Portman, Mila Kunis, Barbara Hershey and Winona Ryder among others. But, quite aside from the Fragile Diva, the Good-Sporty Potential Best Friend (and Manic Pixie Girlfriend, Free-Spirit Division), the Stage Mother, and The Bitter Dumped Star, the film as a whole will remind you, or at least it does me, of better films...not solely The Red Shoes, but also Repulsion, Persona, and a bit of the latter-day kind of horror of perception films such as Donnie Darko. Or, to some extent, Aronofsky's previous films...listening to Natalie Hershlag being interviewed about Aronofsky's attempts to create a Method rivalry between Kunis and herself did little further respect his intellect or professionalism. When the script features such Cleverness as the Svengali choreographer of the ballet troupe telling the fragile, overly-controlled, severely in need of apron-string-cutting protagonist that There will be no boundaries between them...ho, ho, So Telling! But it's well-shot, and as I mentioned, well-acted (even if, as actor Marcia Wallace notes on Jackie Kashian's podcast, "Portman" wanders throughout the film looking consistently startled, which helps the constant potential for goofiness tip in that directiton for at least some viewers). I've been told it's a love it or hate it film...it's just a good try, on the part of the cast, by me, and not bad...not nearly as bad nor good as you might've heard or read. So, huzzah! Happy days, in the recent past and the near future...and onward! This thin volume, without making much of a fuss about it, was the first (and [I incorrectly wrote back in 2010] perhaps still is the only) Best-of the Samuel Merwin and Sam Mines years of Startling Stories and Thrilling Wonder Stories, the Other Good sf magazines of the late '40s and early '50s [Mines had actually published a The Best from Startling Stories that included fiction from TWS, during his run with the pulp titles]...magazines with not as distinct personalities as Astounding Science Fiction, John W. Campbell's revolutionary magazine being challenged finally, in part by writers and editors developed and inspired by Campbell but also by (as, for example, Bradbury) writers who were never too compatible with the ASF ethos, or Planet Stories, by the end of the 1940s not only the home of elegant space opera and a regular market for Leigh Brackett and others, but by those years fully as good and about as diverse as ASF...and such magazines stressing sophistication and good prose as Galaxy and The Magazine of Fantasy and Science Fiction, and briefly also such others as Knight's own Worlds Beyond and Howard Browne's mixed bag of the early Fantastic and the upgraded Amazing. 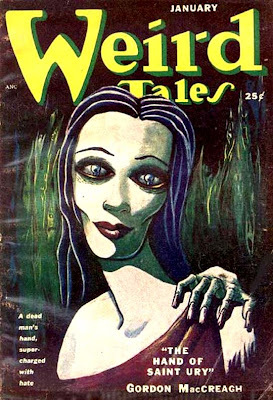 But, for a while, Startling and Thrilling Wonder, as burdened by their pulp-era titles as was Astounding or Amazing (at least Fantastic, and its predecessor Fantastic Adventures, and Weird Tales had descriptive titles that had some specific relevance to their content), were publishing a range of often fascinating and innovative material, including the likes of Philip Jose Farmer's The Lovers, which dealt directly with tragic interspecies romance and helped establish Farmer's reputation, and the contents of this volume...ranging from James Blish's elegant technological "problem" story (how do you rescue a city encased in an impenetrable force-field?) 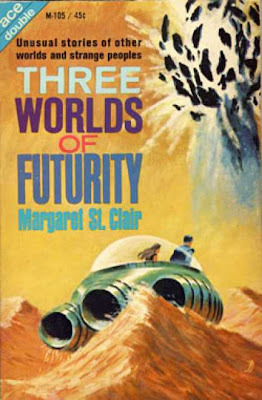 to Ray Bradbury's whimsical notion of a woman who gives birth to an apparently healthy blue pyramid, to Charles Harness's typical blend of space-opera and mind-blowing philosophical and cosmological speculation...Harness is yet another underappreciated writer in the field, except among those who really love and know This Kind of Thing...his influence on his younger contemporaries Jack Vance and Poul Anderson, particularly, seems pretty clear to me. 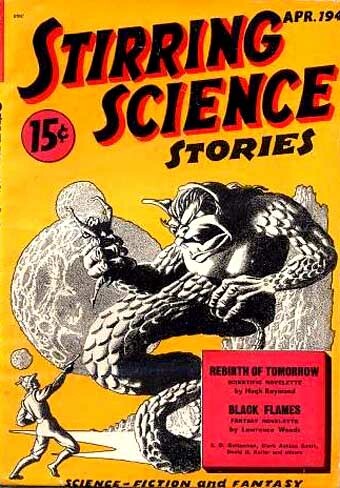 I've read that on the strength of this kind of material, Startling managed to become for a while the best-selling of sf magazines, presumably outselling Astounding, just starting to drift due to Campbell's fascination with Dianetics, psi powers, and other matters from the fringes of science, and Amazing, just after Howard Browne dumped the lunatic-fringe-stroking Shaver Mystery material (akin to Ancient Astronauts and the more irresponsible UFOlogy coverage then just coming into vogue, with, as with Dianetics and other pop mysticism, some past-life regression elements) that Browne's predecssor Ray Palmer had used to put that magazine into the circulation stratosphere...and before the insurgence in late 1950/early 1951 of Galaxy. 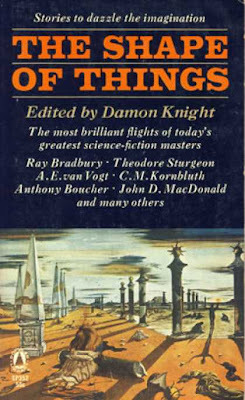 And yet, these magazines from the Thrilling Group pulp chain, which had been morphed (essentially) into the paperback publisher Popular Library, had been so thoroughly eclipsed, a dozen years after the titles were merged and folded, so that the packaging for this book didn't even bother to mention them...as opposed to highlighting the kinds of writers and fiction they were publishing. (Popular Library had published several Wonder Story Annuals in the '50s and '60s, to test the waters, apparently, for the old title.) That legacy stands...even if this volume is now as obscure, certainly to the average reader, as the magazines it draws from. 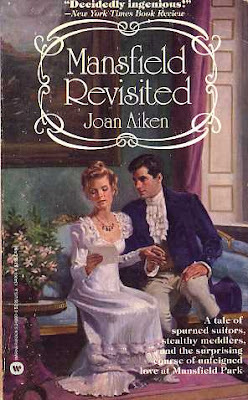 For more "forgotten" books this week, please see, as usual, Patti Abbott's blog. 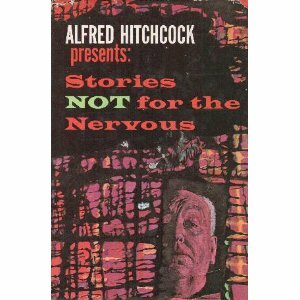 Alfred Hitchcock Presents: Stories Not for the Nervous [ghost edited by Robert Arthur] ed. 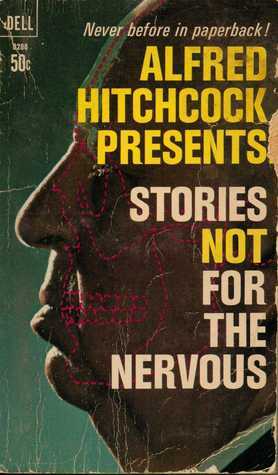 Alfred Hitchcock (Random House LCC# 65-21262, 1965, $5.95, 363pp, hc); Derivative Anthologies: Alfred Hitchcock Presents: Stories Not for the Nervous (Dell 1966) and Alfred Hitchcock Presents: More Stories Not for the Nervous. So, I indulged in a bit of nostalgia, and picked up a used copy of this in a Doubleday Book Club edition (whether from the DBC, the Literary Guild, the Mystery Guild, or even the SF Book Club, I know not). And, as the table of contents above might suggest to you, this book is about as rewarding a read now as it was as part of my continuing discovery of the "Hitchcock" books as a child in the 1970s, when the hardcovers were widely available in libraries and the Dell paperbacks, usually halving the contents into two volumes, were often put back into print if they slipped out of availability. Though my previous edition, deep in storage, was a used copy of the Dell paperbacks. Little engaged me more than a new (to me) AHP volume in my youth...and they hold up well. Also bright in my memory, but not yet dug out for review, is the first McCone novel by Marcia Muller I read, Trophies and Dead Things, which I had reason to mention on Patti Abbott's blog yesterday and which is getting to be twenty years old...and sadly, like too many Mysterious Press items, out of print. It was triggered, as a novel and as a rumination about life and society, by the near-simultaneous deaths of Huey Newton and Abbie Hoffman, and the signficace of both their lives and deaths. It was, and I suspect is, a superb read, and I hope to rediscover that and perhaps report back here sooner rather than later. For more of today's "Forgotten" Books, please see Patti Abbott's blog. Three collections, none definitive, all rewarding. The Best of Margaret St. Clair Margaret St. Clair (Academy Chicago 0-89733-164-8, 1985 [Nov ’85], $4.95, 271pp, pb) Collection of 20 stories plus a new introduction by the author, edited by Martin H. Greenberg. Thirteen O’Clock and Other Zero Hours C. M. Kornbluth (Dell, 1970, pb); Cecil Corwin stories, edited by James Blish. Three books that give a sense, if not the fullest sense, of what their authors were capable of. 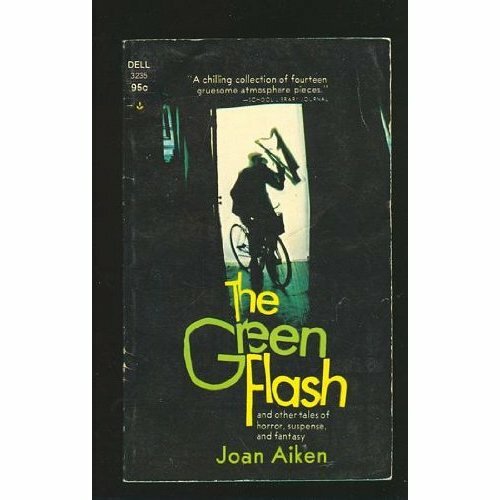 The Green Flash is a decent cross-section of the short fiction of Joan Aiken, with an eye to her younger audience who had found her through The Wolves of Willoughby Chase and its companions...but not incompatible with the interests of her gothic readers, if less so perhaps with her more straightforward romance-fiction readers (and surely welcomed by those who'd known of her short fiction over the previous decades). "The Green Flash" itself is a charming bit of misdirection, and it introduced me to the notion of the rarely-seen atmospheric prism effect of a green flash at sundown. 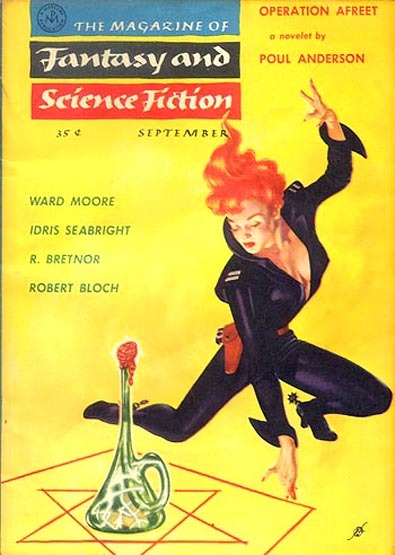 "Marmalade Wine" is perhaps the story which sruck me hardest at the time, neat and vicious, while "The Windscreen Weepers" manages to overcome its weak title conceit (and apparently was a particular favorite of either Aiken or her book editors, as most of these stories were drawn from an earlier, more comprehensive collection that took its title from this one). 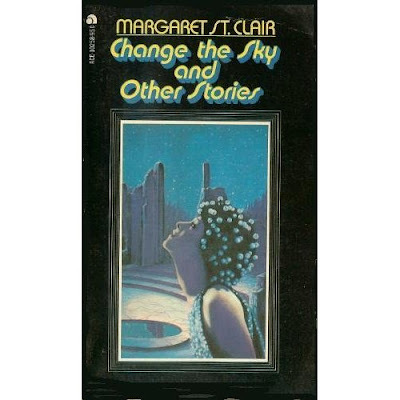 Margaret St. Clair has been only very inadequately represented in collections so far, despite a decent selection in the Greenberg compilation, which nonetheless slights her fantasy and horror work in favor of her sf, I'd say...also true of her other two, earlier collections. I've had the great pleasure to read some of the stories I hadn't realized were uncollected (at least in a volume of her work), particulary from St. Clair's run around the turn of the 1950s in Weird Tales, while for reasons I'm not yet clear on, she seemingly preferred to publish as "Idris Seabright" in The Magazine of Fantasy and Science Fiction in the same years. The existence of the NESFA His Share of Glory volume almost makes this volume retroactively redundant, but the omnibus doesn't include Blish's notes nor the version of the conjoined stories presented here. As with the other books and other work under discussion here, eminently worth seeking out. 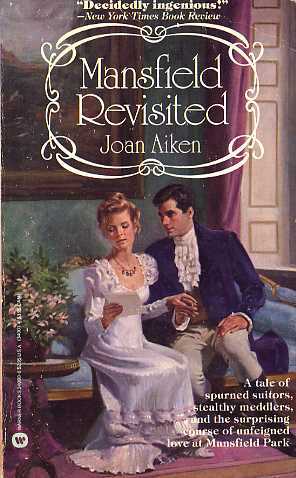 For more Forgotten Books this week, please see Patti Abbott's blog.